For the 37th installment of the STYLSS Mix Series we invited Seattle based experimental producer Joey Butler aka KID SMPL to join us. A RBMA alumni reppin multiple solid releases with the Hush Hush Records imprint, as well as headlining their recent label showcase/audiovisual experience at Decibel Festival. 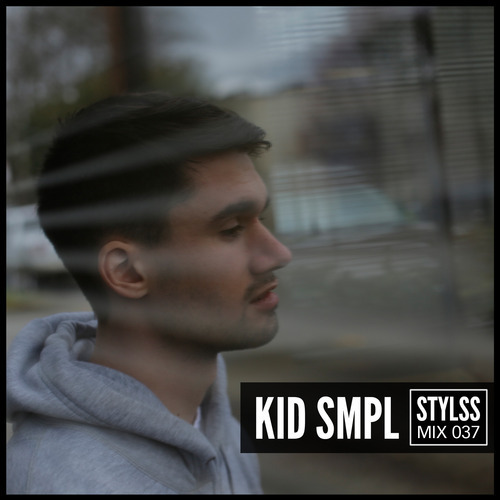 KID SMPL is def carving his own path of experimental bass music in the Pacific Northwest. Download, Tracklist & Recipe for Kid Smpl’s Peanut Butter Pie after the jump. In a bowl, stir together the graham cracker crumbs and melted butter; press into the bottom and sides of a 9-inch pie dish. Bake until brown, about 5 minutes. Set aside to cool completely. With a heavy-duty stand mixer fitted with the whisk attachment, whisk the cream at high speed until it forms stiff peaks. Transfer to a large clean bowl and set aside. Fit the stand mixer with the paddle attachment and a clean bowl; add the cream cheese, peanut butter, brown sugar, and vanilla and beat at high speed until the mixture is smooth and silky. Gently fold the cream cheese-peanut butter mixture into the whipped cream with a spatula until completely blended. Spoon into the cooled pie shell and smooth out the top. Place the pie in the freezer for 1 hour or until ready to serve.